The New Jersey Chapter of NADRA has created a fun program for their members. At each meeting, members put their names in a hat and one lucky winner is chosen to be marketed via social media. But not just that; the winning member is also highlighted here on NADRA’s blog AND in the industry weekly news brief! 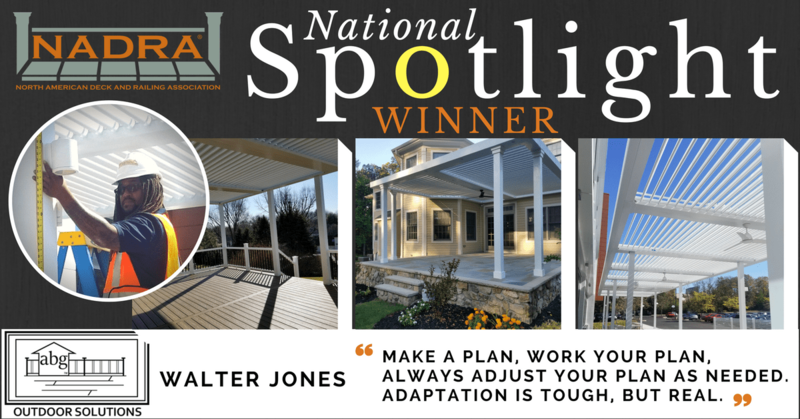 NADRA’s National Facebook page also promotes the spotlight winner. 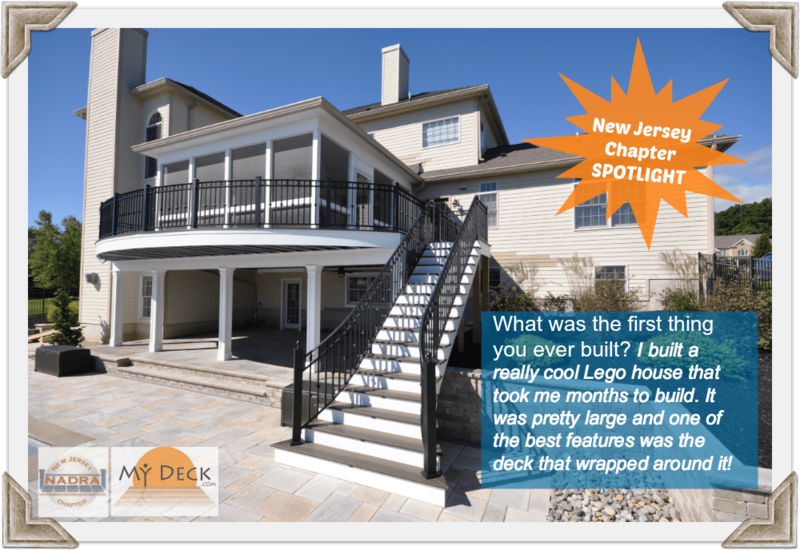 We are excited to spotlight this months winner: Robert Lascelle, professional deck builder and owner of My Deck.com. What was your first job? I worked on the Clinton Township road department while I was going to college in the evenings. What was the first thing you ever built? I built a really cool Lego house that took me months to build. It was pretty large and one of the best features was the deck that wrapped around it. Tell us a little about your family. I have a beautiful wife Lisa and two children Cory 15 and Brooklyn 8. My wife is an operating engineer for local 825. Cory will be a sophomore at Central high school and enjoys playing football. Brooklyn will be entering third grade at Franklin Township School. She also enjoys playing football and loves arts and crafts and has recently taken up sewing. What is your favorite hobby? I enjoy being on the water boating. I grew up in the summers on the water and have always owned a boat.